See all links for all information with Northern Lights Recreation including menu, parties, events and other information. 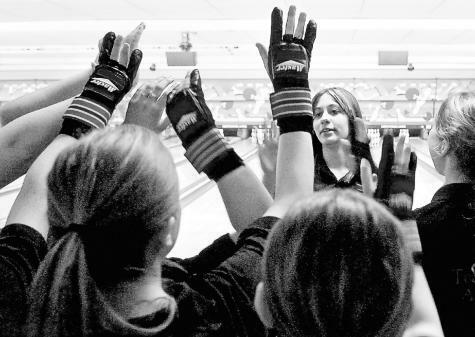 Northern Lights Recreation offers an "After School Bowling Program." This program has been designed to introduce the sport of bowling to youths, K-12, in the schools of Northern Michigan. During the school year when school is in session, youths can come in at 3:30 pm, right after school, and bowl until 5:30 pm. (all bowling MUST be completed by 5:30 PM). Show your school ID (K-12th grade) and receive two (2) games of bowling, shoes, popcorn and a soda for only $7.99. NOTE: Our after school program is designed to encourage youth bowling. We will NOT honor after school bowling prices for any birthday party or group. Please see our birthday packages , youth and group rates for these events or call the center at 231-347-3100 for information. Northern Lights Recreation can accommodate large groups and we encourage teachers to plan their field trips with us. (NOT VALID ON SCHOOL HOLIDAYS, TEACHER INSERVICE DAYS, SNOW DAYS, or any other non-school in session day). Please call us for addition information at 231-347-3100.